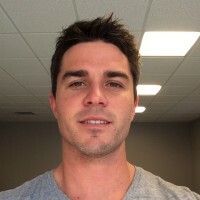 Ryan Bonhardt is a self-directed learning enthusiast and self-taught web developer and entrepreneur. He believes in the power of education and has a life mission of empowering people to follow their passions, make money doing it, and to constantly test the system. During college he decided he wanted to avoid "Corporate America", make money doing things he loved and live life as he wanted to. In the beginning it was rough and he STRUGGLED….but then he discovered how to learn skills rapidly and promote efforts he believed in. Since then he has founded Maker-Based, helped found a non-profit running across the USA for Sarcoma cancer research, lived in 10 cities, been a white water river guide, surfed across Latin America, and advised multiple businesses and startups. His goal is to always love what he's doing and do what he loves - to learn something new and add value daily. At Maker-Based we aim to better education through content and delivery. We believe every day there is a growing gap between what students should be and are learning. We aim to lessen that gap by teaching you skills that are relevant today - to enable you to follow your passion and do what you love. And we believe the most effective way to learn these skills is through project-based learning. We work to achieve this mission daily with online learning courses and our social venture of bringing coding into the school system.